The amazing electric cellist and composer JO QUAIL will be performing two concerts in London. 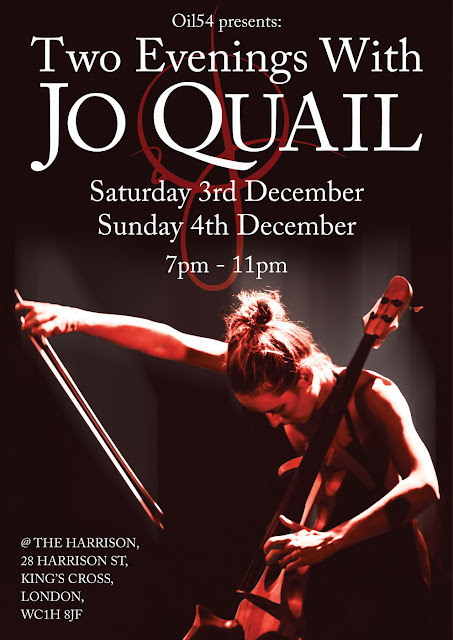 In the atmospheric and intimate surroundings of The Harrison bar, just a stone's throw from King's Cross, is your chance to see Jo playing live. With hugely successful European and Australian tours already under her belt, Jo's reputation as an innovative and exciting performer is just growing and growing. But hurry up, as Sunday is already sold out and there are just a few tickets left for Saturday.